Through the month of May, visit Café Kantary Bangsaen or Prachinburi and you can order the special snack “Clams in 3 sauces”. 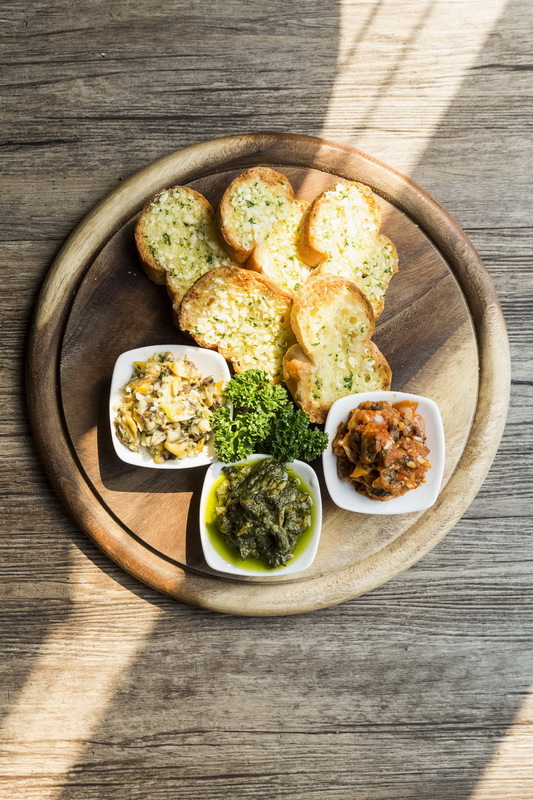 Fresh clams fried together with a selection of three irresistible sauces: spicy tomato, basil pesto and garlic butter; served with crunchy garlic bread. A real transport of delight, this delicious treat is priced at only 175 Baht. วันที่ 5 พฤษภาคม 2559 เวลา 14:41 น.